Part of the Thanksgiving feast I made for my boyfriend and myself was cranberry sauce. 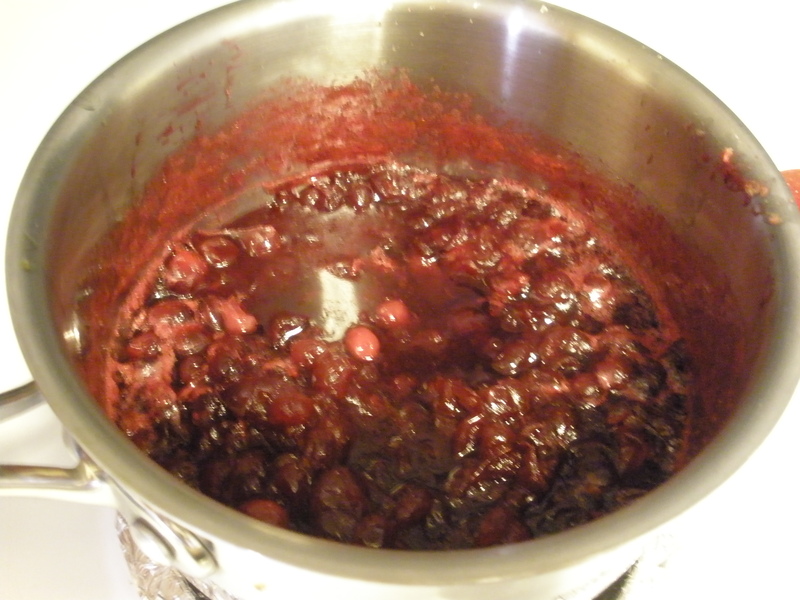 I really don’t like canned cranberry sauce….I can’t get over the congealed, can-shaped “sauce” that emerges. So, I make my own. Fresh cranberries are everywhere this time of year, but they won’t last long. I usually stop seeing them in Austin stores pretty soon after the New Year. Orange and cranberry are a natural flavor match, so I added zest from a tangerine plus the juice of the tangerine to the cranberries. The zest, juice, cranberries, water, and sugar are the only ingredients you need. 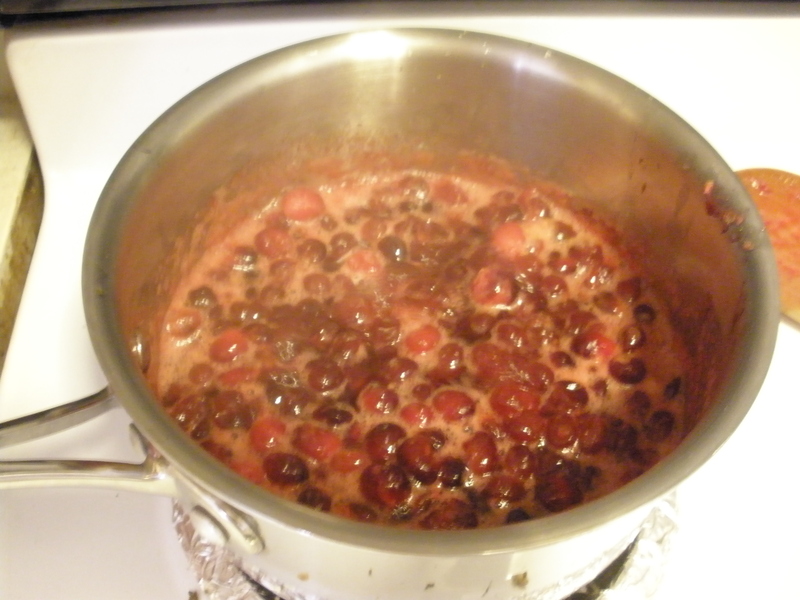 Add the cranberries, water, sugar, zest, and juice to a medium sauce pan. Turn on high and bring to a boil. Immediately turn heat down to medium low, and simmer for about 30 minutes, stirring every 5-7 minutes. 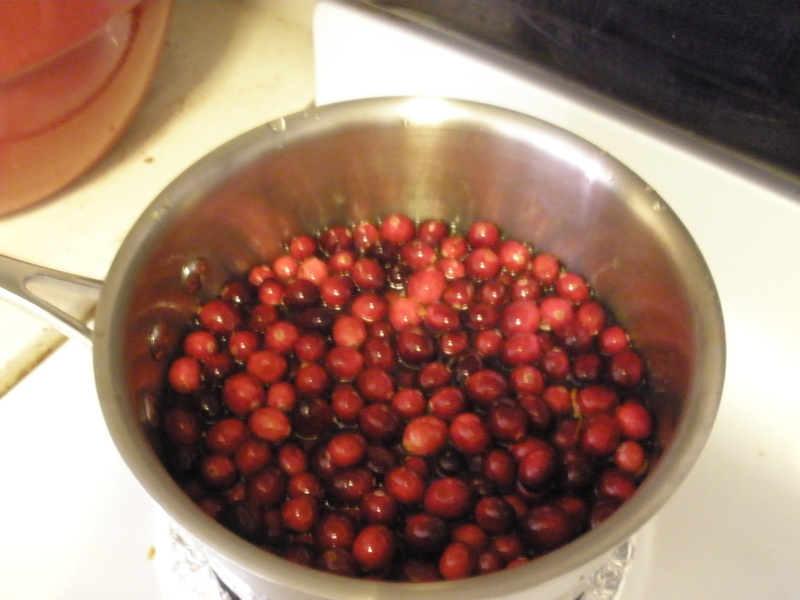 You’ll know the cranberries are done when they pop. Fun! Once the sauce is done simmering, let sit for about 15 minutes to cool and to thicken.